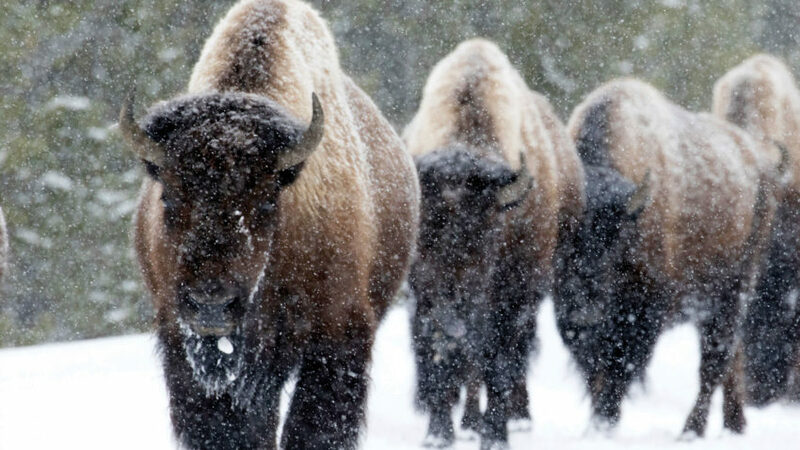 January’s Positive Change recipient is Tanka Fund, a national campaign to return buffalo to the lands, lives, and economies of Native peoples. Tanka Fund provides educational resources about the benefits of Native buffalo restoration and raises financial aid for Native buffalo producers to assist them with raising sustainable herds. The campaign is dedicated to tackling hunger, unemployment, and unsustainable food production practices on Native American reservations while reconnecting Native peoples to their cultural food traditions. Tanka Fund is an initiative of the Indian Land Tenure Foundation, a local nonprofit based in Little Canada, MN (just north of St. Paul) that serves American Indian nations and people in the recovery and control of their rightful homelands. Tanka Fund is sponsored by Native American Natural Foods, the creator of TANKA brand buffalo snacks, which we proudly carry at Mississippi Market. TANKA snacks are gluten-, MSG-, nitrate-, and hormone-free and are made using fruits, vegetables, nuts, spices, and 100% grass-fed, pasture-raised buffalo. Tanka Fund’s goal is to return buffalo to one million acres of Native lands while improving reservation health and prosperity. As a result of this buffalo revitalization, Tanka Fund seeks to restore healthy lands by fostering buffalo biodiversity, cultivate healthy people through reversing the epidemic of diet related illnesses that persist because of highly processed government food relief programs, and ensure economic prosperity on reservations plagued by poverty through a new buffalo-based economy. January’s Positive Change proceeds will be used toward directly supporting Native buffalo producers, further enabling them to raise sustainable, wild-managed herds.